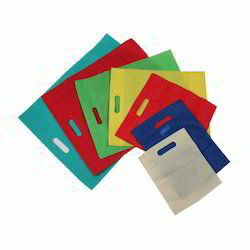 We are manufacturer of non woven d cut bags. 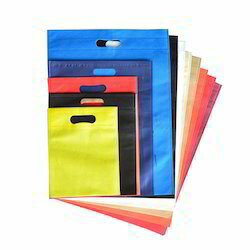 We are leading suppliers of Non Woven D Cut Bag. 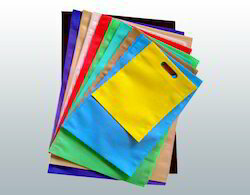 Nonwoven fabric is a fabric-like material made from long fibers, bonded together by chemical, mechanical, heat or solvent treatment. 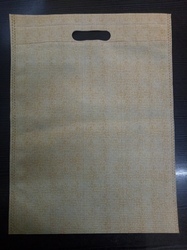 The term is used in the textile manufacturing industryto denote fabrics, such as felt, which are neither woven nor knitted.